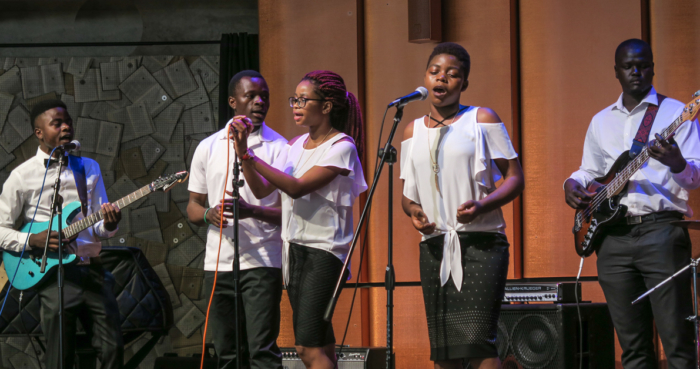 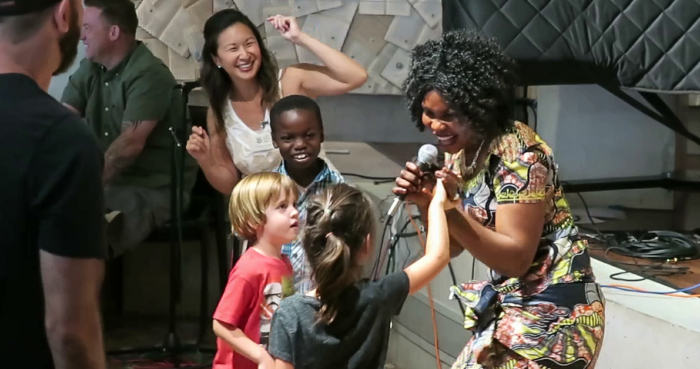 The Center for World Music celebrates the inaugural season of Songs and Stories: Refugee Artists in San Diego, a CWM project that bridges the distance between San Diego’s refugee population and the general the public through the performing arts. 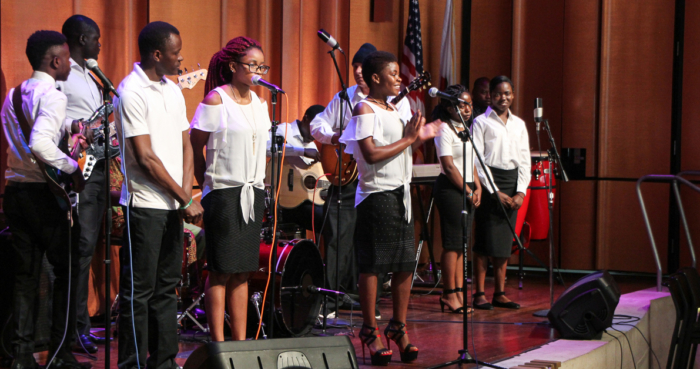 San Diego County is known as a relocation hub for those fleeing persecution and violence. 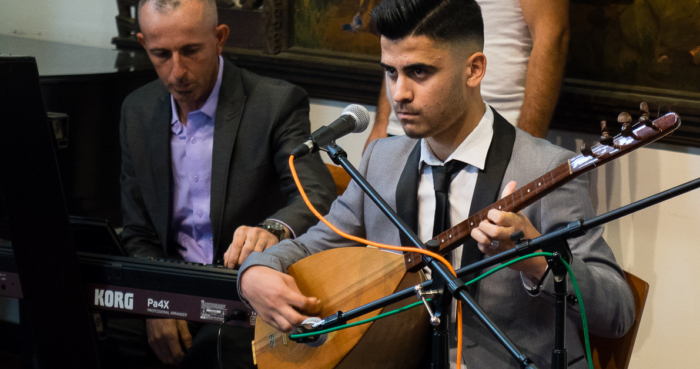 Over the past year, CWM project volunteers and staff worked with local refugee communities to identify performers and artistic leaders. 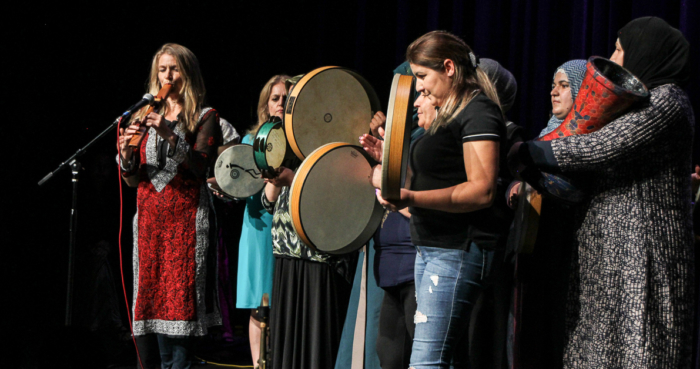 We then facilitated opportunities for these artists to creatively interface with the public, allowing audiences to become immersed in the traditions, journeys, and voices of those finding refuge in San Diego. 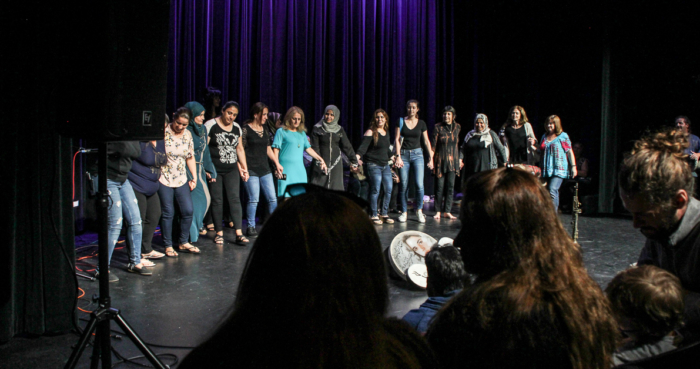 Through creative arts the CWM aimed to share refugee experiences and contributions, reduce the social distance between San Diego public and its refugee communities, and encourage support of refugee communities. 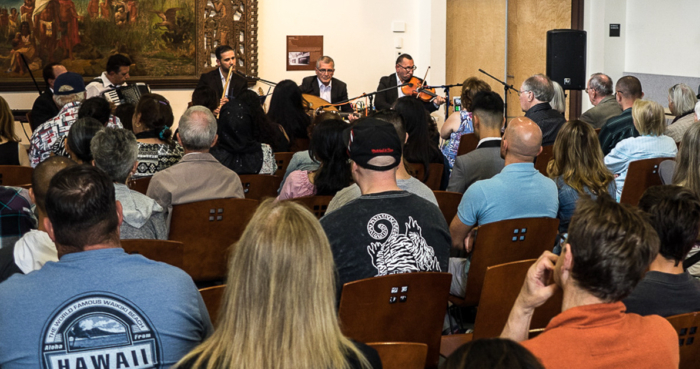 During the month of June 2018, 49 musicians performed in three locations across the City of San Diego. 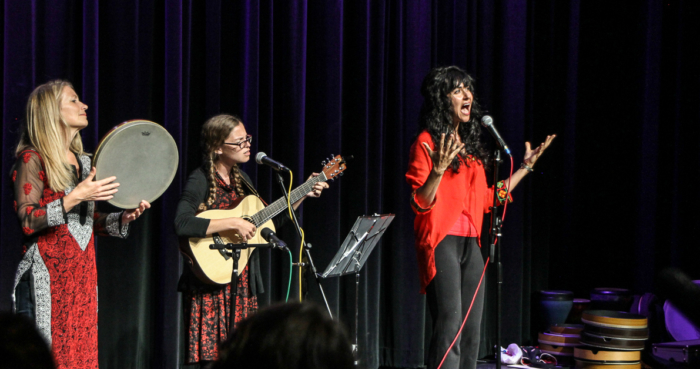 The events, which drew large and enthusiastic audiences, were hosted by the San Diego Public Library system. 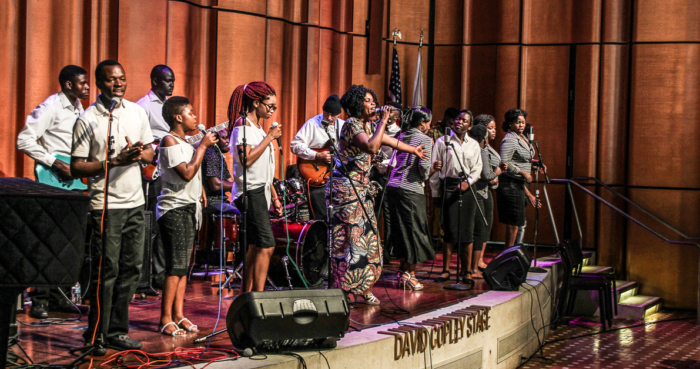 The Songs and Stories series opened on June 6 with Voices of Hope from Africa at the San Diego Central Library The event featured Matrida Boazi, the Revelation Gospel Band, and Emmanuel Adamson, with the discussion led by Delores Fisher, musician and San Diego State University lecturer. 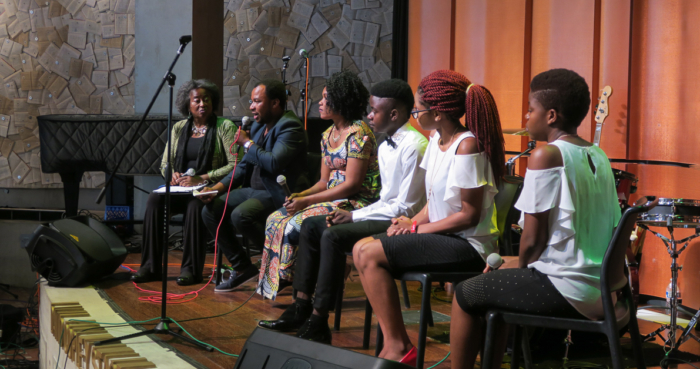 Here’s a short video of the Voices of Hope concert. 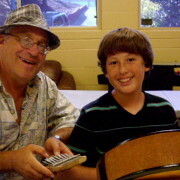 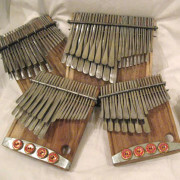 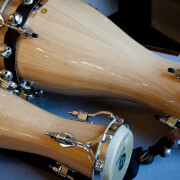 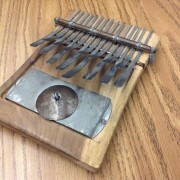 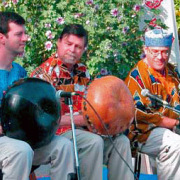 The next event was Musicians of the Middle East on June 16 at the Logan Heights Branch Library. 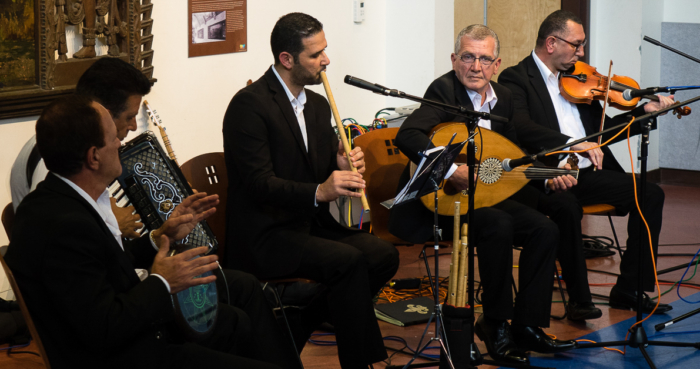 Featured were Fouad Sawa and the Al-Salam Ensemble, along with Dlan Dary. 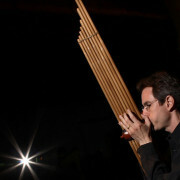 The discussion was led by Dr. Alex Khalil, neurocomputational ethnomusicologist and project scientist at the University of California, San Diego. 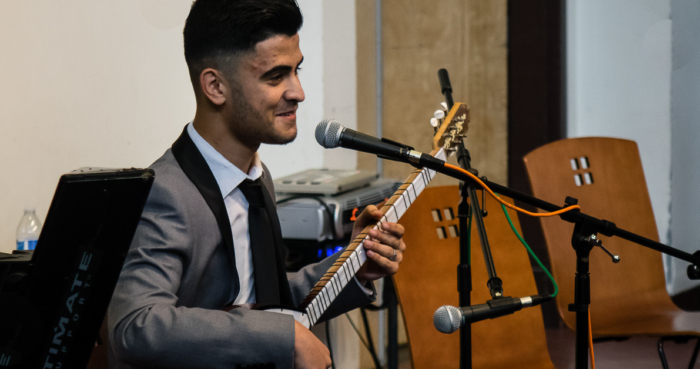 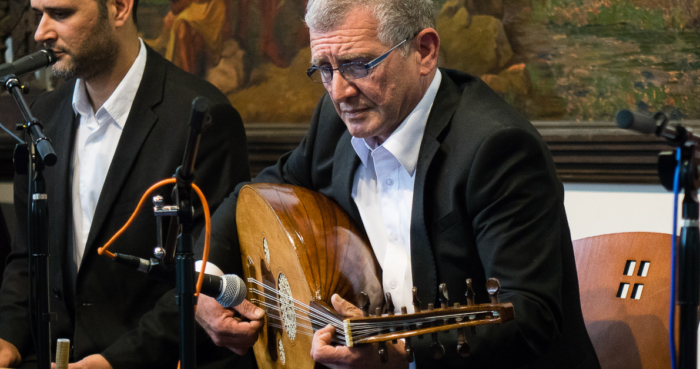 See more of Musicians of the Middle East in this short video. 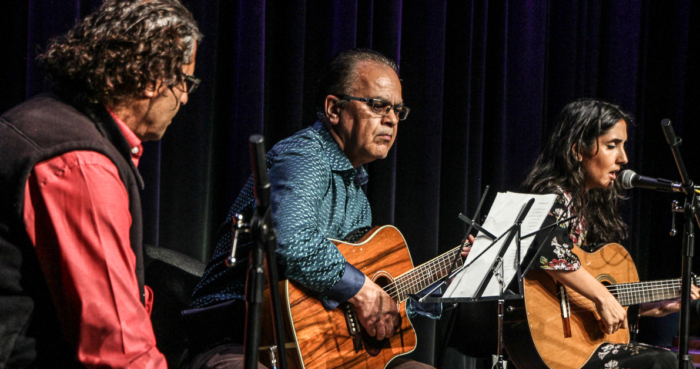 Culminating the series was Transformations Through Rhythm & Word on June 21 at the City Heights/Weingart Library and Performance Annex. 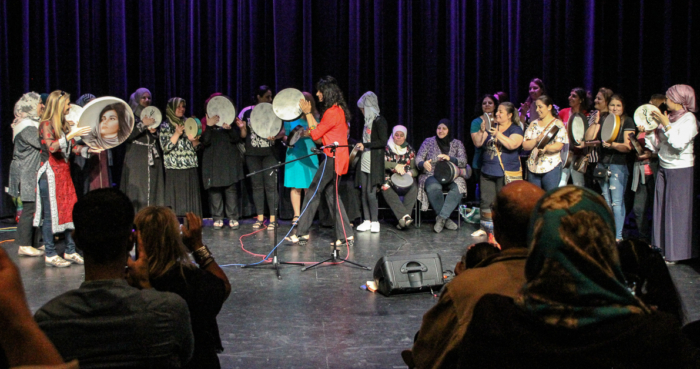 The program featured storyteller Ari Honarvar, poet/songwriter Shadi Amini, and Shiffa: Refugee Women’s Drum Circle, lead by Dilkwaz Ahmed, Ari Honarvar, and Christine Stevens. 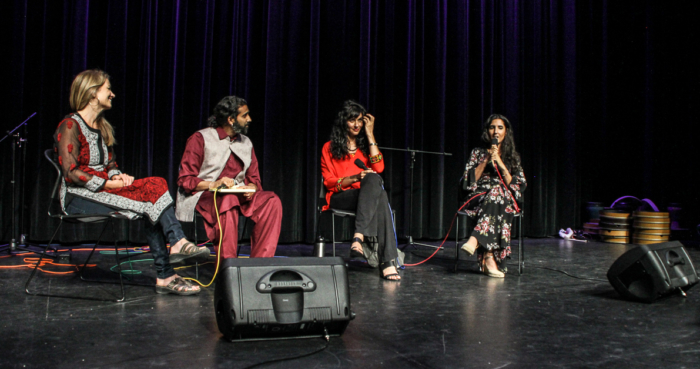 The discussion was led by Vikas Srivastava, musician, author, and advocate of non-violence and social equity. 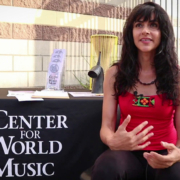 KPBS aired a nice video on Transformations Through Rhythm & Word. 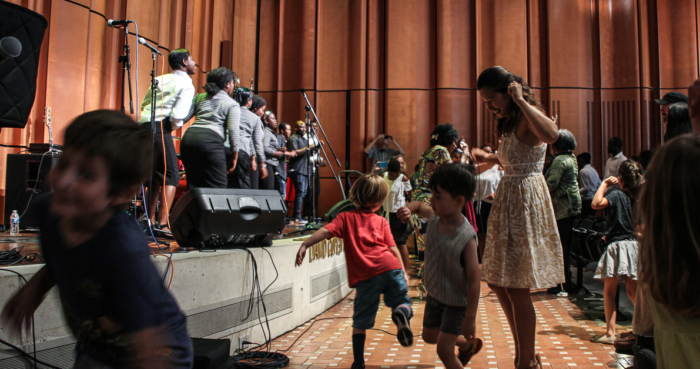 This project was made possible with support from California Humanities, a non-profit partner of the National Endowment for the Humanities. 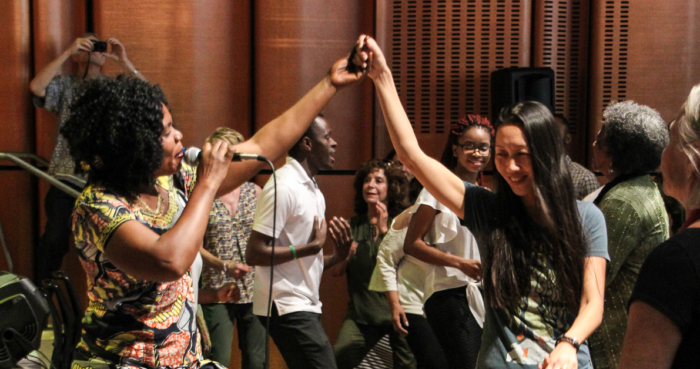 Any views, findings, conclusions, or recommendations expressed in these programs do not necessarily represent those of California Humanities or the National Endowment for the Humanities. This project was also made possible with matching funds from the Peacemakers Fund and through a partnership with the San Diego Public Library system. 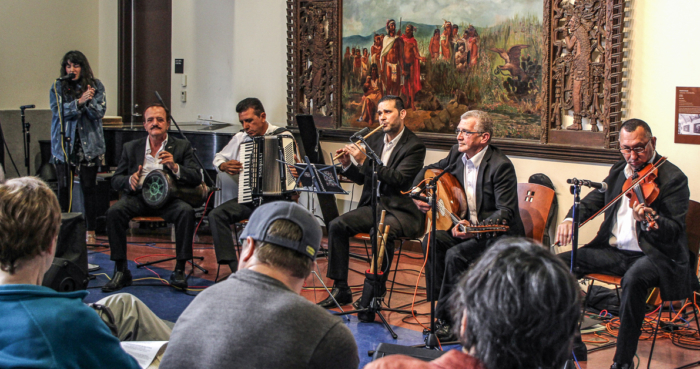 Financial support was provided by the City of San Diego Commission for Arts and Culture. 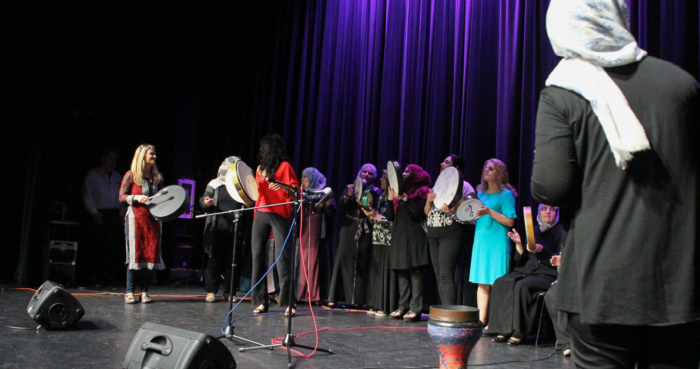 The CWM expresses sincere thanks to the San Diego Refugee Forum, the International Rescue Committee, Musical Ambassadors of Peace, UpBeat Drum Circles, License to Freedom, and San Diego Newcomers Support & Development Programs. 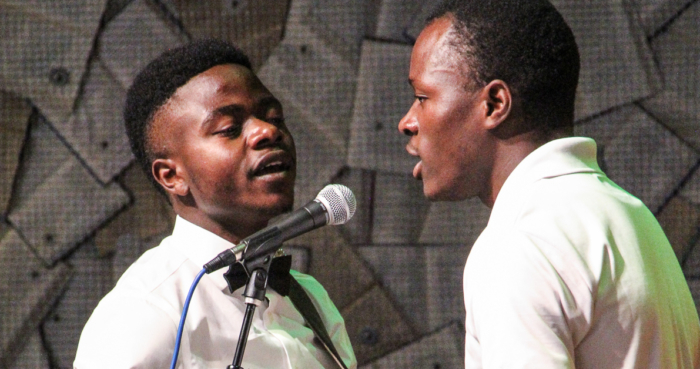 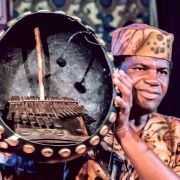 Cosmas Magaya on a mission to preserve African music.